Single-board computer (SBC) gained more and more popularity during the last years due its opensource software and the simple hardware. With these SBC it is possible to develop quickly and easily prototype systems or even full products. The standard Linux distributions have no real-time capabilities. For many projects like a digital weather station, this is not crucial. For motion control, on the other hand, it is mandatory to have real-time access for making clean acceleration ramps, position control and closed-loop operation. All of this is possible with motion control ICs from TRINAMIC without needing any real-time operating system on the SBC. The project below shows how to do precise autonomous cyclic movements with the TMC4361A without any MCU power. 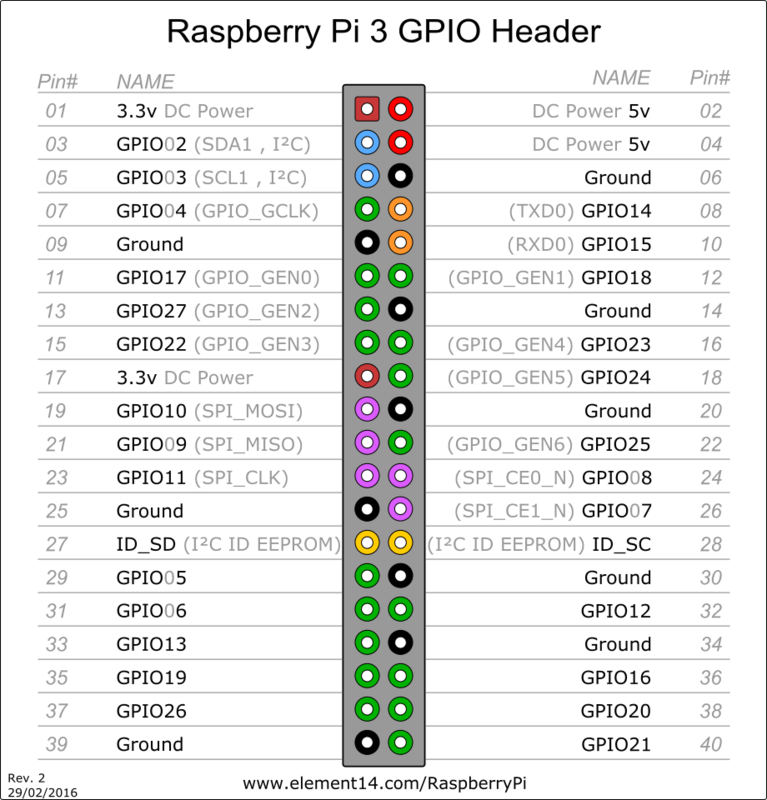 The Raspberry Pi 3 is used to set up the needed registers and from there the TMC4361A takes care of the movement. 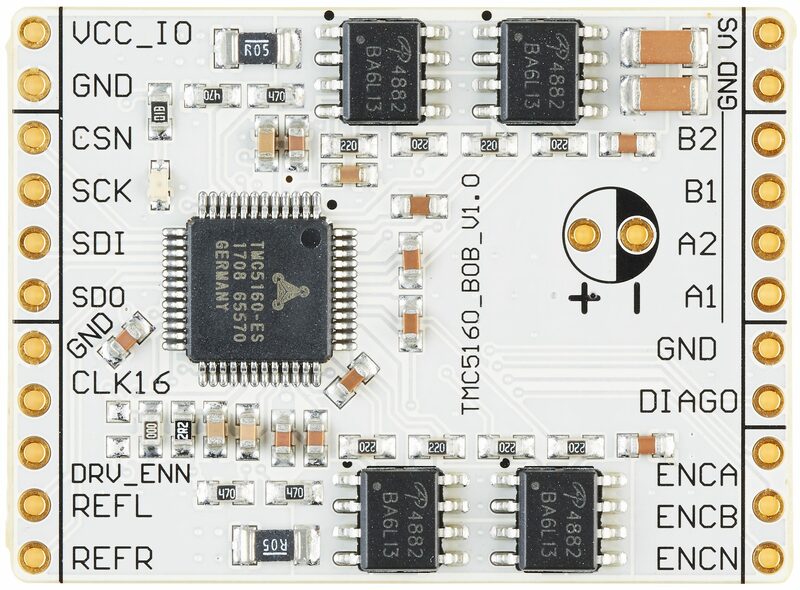 The used system consists besides the Raspberry Pi 3 of a TMC4361A-BOB and a TMC5160-BOB, which is used a plain pre-driver stage, so the internal motion controller is deactivated. The usage of the TRINAMIC’s API – TMC-API – is minimizing the software effort. The TMC5160-BOB allows the TMC5160 to use in 2 different modes: With integrated motion controller and in step/dir mode. For controlling the TMC5160 by the TMC4361A the TMC5160 has to be in step/dir. On the TMC5160-BOB this can easily be done by desoldering the R2 and soldering it to R1. The wiring is very simple. You will need 18 jumper wires. As a reference, you can use the TMC4361A-BOB_datasheet_Rev1.0.pdf and TMC5160-BOB_datasheet_Rev1.0.pdf. * the higher 4 bytes, if present, go into the cover high register. Nice article. I have to think about writing code on BBB to handle a closed loop or use TMC4361 instead. One more question, I like the terminal adapter board you use. Where can I buy this? The adapter board is called “Schraubstock”. It will be soon available at our distribution channels. can you help me at this ? Thanks for your answer. It help a lot! 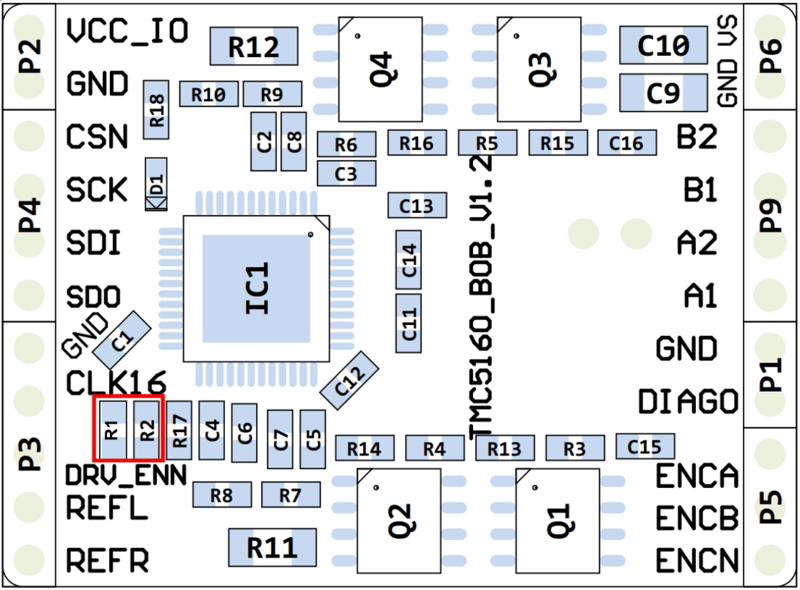 Then you need to write the SPI Wrapper functions for the TMC2130 in SPI.c. For this you can just copy the code for the TMC5160 and rename it to TMC2130. But it works only in one direction, shouldn’t it change the direction ? Hope you can help me at that. it should be working in both direction. Can you double-check if the dir signal is connected properly? it’s a long time, i didn’t reply your last comment. I get some other work to do, but now i had some time to continue on my project. I found the problem ^^, my motor was to slow. So i change the VMAX and i can see the variation of the moving. Thank you for your big help!